Mental fatigue in healthy individuals is typically observed under conditions of high cognitive demand, particularly when effort is required to perform a task for a long period of time—thus the concepts of fatigue and effort are closely related. In brain injured individuals, mental fatigue can be a persistent and debilitating symptom. Presence of fatigue after brain injury is prognostic for return to work/school and engagement in activities of daily life. As such, it should be a high priority for treatment in this population, but because there is little understanding of its behavioral and neural underpinnings, the target for such treatment is unknown. Here, the neural underpinnings of fatigue and effort are investigated in active duty military service members with mild traumatic brain injury (mTBI) and demographically-matched orthopedic controls. Participants performed a Constant Effort task for which they were to hold a pre-defined effort level constant for long durations during fMRI scanning. The task allowed for investigation of the neural systems underlying fatigue and their relationship with sense of effort. While brain activation associated with effort and fatigue did not differentiate the mTBI and controls, functional connectivity amongst active brain regions did. 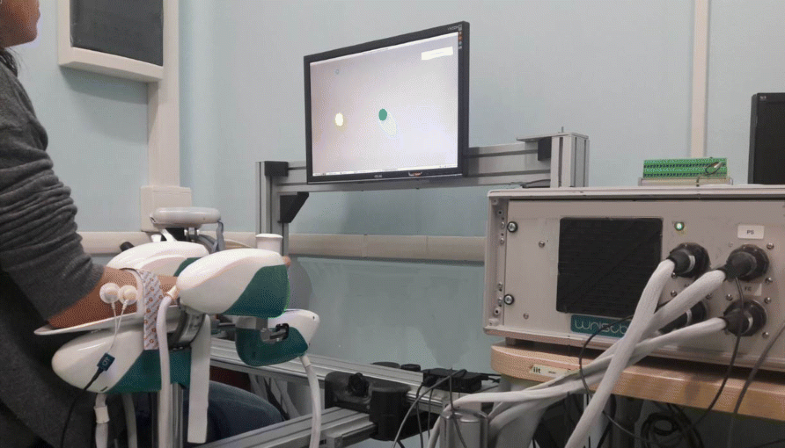 The mTBI group demonstrated immediate hyper-connectivity that increased with effort level but diminished quickly when there was a need to maintain effort. Controls, in contrast, demonstrated a similar pattern of hyper-connectivity, but only when maintaining effort over time. Connectivity, particularly between the left anterior insula, rostral anterior cingulate cortex, and right-sided inferior frontal regions, correlated with effort-level and state fatigue in mTBI participants. These connections also correlated with effort level in the Control group, but only the connection between the left insula and superior medial frontal gyrus correlated with fatigue, suggesting a differing pattern of connectivity. These findings align, in part, with the dopamine imbalance, and neural efficiency hypotheses that pose key roles for medial frontal connections with insular or striatal regions in motivating or optimizing performance. Sense of effort and fatigue are closely related. As people fatigue, sense of effort increases systematically. The data propose a complex link between sense of effort, fatigue, and mTBI that is centered in what may be an inefficient neural system due to brain trauma that warrants further investigation. A signature injury of service members deployed during the conflicts in Iraq and Afghanistan is traumatic brain injury (TBI). Of the approximately 360,000 service members who suffer from TBI, 70% are classified as mild injuries (mTBI; DVBIC Quarterly Reports). At least 19% of the service members with mTBI have persistent symptoms that contribute to difficulty engaging in social and work activities. The consequences of persistent fatigue in mTBI pose a real challenge to rehabilitation (1). High levels of mental fatigue commonly persist and relate to failure to return to work and loss of productivity (2, 3). In fact, presence of fatigue is the strongest predictive factor of poor outcomes following TBI (1). Despite the prevalence of fatigue in TBI, our understanding of its behavioral and neural underpinnings is lacking. Mental fatigue is a complex process that is operationally defined by time on task and increased mental effort. When performance suffers (reaction time, accuracy, etc.) over time, presumably from fatigue, there tends to be fairly diffusely increased brain activity (4). Simultaneously, there may also be decreased motivation under high effort (5). According to Kahneman’s “resource capacity theory,” the amount of effort needed to perform a task is related to the complexity of the task and an individual’s limited general capacity to perform mental work [i.e., resource capacity, (6, 7)]. When a task is difficult, the demand for resources is high, and performance suffers when resources near depletion. When a person recognizes that performance is suffering, tasks are perceived as more difficult, and require greater effort, which Kahneman equates with the experience of mental fatigue. Brain imaging in mTBI indicates an increase in brain activity with increased time on task regardless of the type or demand requirements of the task (8). In contrast, healthy individuals have decreased activation over time without a serious decrement in performance, and without reporting significant fatigue. This brain response in TBI may suggest a perception of higher levels of effort when the task is long, or that individuals with TBI inefficiently regulate cognitive control and exert more mental effort to maintain a high-level of performance, resulting in fatigue. While there is a plethora of literature reporting that task demand causes degradation of performance in mTBI, few have investigated whether task demand results in fatigue more so than in healthy controls, or how this fatigue manifests in behavior or in neural function. The few available studies have small sample sizes [e.g., (9)] limiting their generalizability. The brain networks implicated in effort and fatigue include frontostriatal circuitry, or the ventromedial prefrontal cortex more specifically. Damage to these brain regions is thought to diminish resource capacity and impair allocation of resources, resulting in an increased perception of expended effort (10–12). Additionally, fatigue related to lack of motivation to engage and maintain performance on a task, or to predict and manage change in performance based on feedback about performance, is associated with the integrity of the ventromedial prefrontal cortical. That is, individuals with larger lesions of this brain region report more fatigue and apathy (13, 14). The frontostriatal network is involved in coding the incentive value for an expected outcome (15), and is mediated by dopaminergic frontostriatal networks (13, 16–19). Breakdowns in ventromedial prefrontal cortex-related network connectivity may disrupt the ability to appropriately detect, monitor, and self-correct errors or to adequately motivate behavior (20, 21). For example, the anterior cingulate cortex is associated with monitoring and detecting errors, the pre-supplementary motor area with engaging in task, and the connectivity amongst these two regions is related to fatigue (22). Figure 1. Effort and Fatigue in the Constant Effort task demonstrated differing regional effects with effort associated with caudal, medial prefrontal cortex (red) while fatigue was associated with rostral prefrontal cortex as well as postcentral and posterior cingulate cortex (blue). Controls demonstrated significantly higher activity than mTBI in a small area of the right medial prefrontal cortex (green) while mTBI had more activity in the posterior occipital cortex, but there were no other significant group effects. 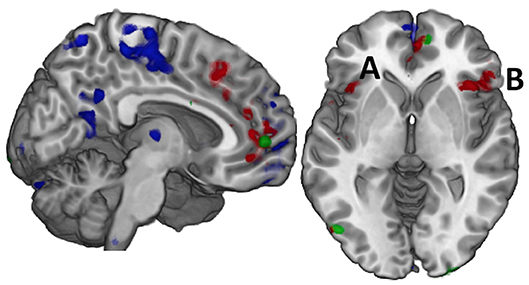 When these regions were used in computing functional connectivity, it was only the connectivity amongst the regions of the effort effect (red) that demonstrated group differences in connection strength. For example, the connection between the left insula (A) and the right inferior frontal gyrus (B, pars orbitalis) was significantly stronger in the TBI group for time on task at 75% effort. Think back to your school days, especially postsecondary school, and how your brain felt after cramming all night for a tough exam. Remember that? When you felt like your brain had been pushed to the limit and was no longer functioning properly? That is called cognitive fatigue. Cognitive fatigue can be defined as a decrease is one’s cognitive abilities due to prolonged mental demands, brought on by excessive wear and tear on the brain. It’s not simply being sleep-deprived, although sleep is important and necessary for healthy brain functioning. Sometimes the challenges we take on, such as work-related commitments and education goals, can be stressful, challenging and require a high level of cognitive demand over an extended period of time. Daniel Goleman reports that cognitive exhaustion can occur due to extended periods of focus, and the brain, like any muscle, can be pushed to the point of exhaustion. When this happens, the brain’s capacity to perform to its full potential can be dramatically decreased. Understanding cognitive fatigue can help us know the actions we can take to reduce the risk and increase our capacity to manage high-demand mental task when necessary. When we’re not aware that cognitive fatigue is happening, we can be at increased risk for being distracted, anxious and irritable. This micro skill provides some ideas to mitigate risk for cognitive fatigue. The focus is on people who engage in some form of activity (such as work or school) that requires a high level of concentration over an extended period. People who have suffered a head injury or some form of mental illness can be at increased risk for experiencing cognitive fatigue. Research shows that cognitive fatigue can significantly impair physical performance that could put a person at increased risk for making mistakes. Common signs of cognitive fatigue include a decrease in motivation, creativity and ability to analyze and think clearly. Someone who’s experiencing any of these symptoms may not be able to process what’s happening, so they need to learn the concept of cognitive fatigue and what actions to take if they’ve reached that point. Sometimes we may order more food at a restaurant than we can eat. The same can happen when we want to achieve something. We focus on the end goal and may not consider the ongoing effort or commitment we’ve made to achieve it. To reduce the risk for cognitive fatigue, you need to not only be aware of your capacity and the potential for cognitive fatigue, you need to set realistic expectations. For example, you wouldn’t commit to running a marathon unless you trained and worked up to it. The mind needs the same consideration. If you want to do something in your career or education that will be a challenge, it’s helpful to make a commitment to train your brain and rest it like any other muscle. You want to develop it to be as strong as possible. Here are some actions you can take to reduce your risk for cognitive fatigue. Prepare for challenges – Accept that for your brain to work to its full potential it needs to be trained and prepared. If you’re taking a course that requires lots of studying over a period of a year or two, develop a capacity-building plan that may involve increasing your daily reading or taking a study strategy program to maximize your study habits. Create a schedule and stick to it – Schedule periods in your day when you’ll focus, and rest periods above and beyond getting your required sleep. The purpose is to provide times in your day when your mind can rest and enjoy other activities. If you struggle with brain fog due to chronic illness or medication, it can be difficult to keep track of all your doctor appointments, medications and symptoms – not to mention all your other responsibilities, such as work, chores or taking care of your family. Staying organized and remembering everything you put on your mental to-do list can be a challenge for anyone, but with brain fog and a chronic illness thrown into the mix, it becomes especially important to find the methods that most help you stay on top of things. For many with chronic illness, smartphones can be a lifesaver. Many of us carry our phones everywhere we go anyway, so utilizing them as a tool to keep track of our lives and our illnesses can be extremely helpful. Most smartphones nowadays come with apps already programmed in, such as a notepad, a calendar or a voice memo recorder, which are simple, easy to use and great for jotting down important notes or dates. However, if you struggle with brain fog and are looking for a different way to organize your notes, lists, calendar and medical information, then there are a number of other apps you may find to be extremely useful. To help you manage your personal life, professional life, and physical and mental health, we asked our Mighty community to share which apps help them navigate their day-to-day lives despite the effects of brain fog. Here are their recommendations. Habitica is a video game that allows you to “gamify” your life by turning your daily activities and to-do lists into monsters to conquer. It can help motivate you to change your habits by giving you in-game incentives every time you complete a task. You can play on your computer or download the app for either iOS and Android. Download Habitica for free from Apple or Google Play. 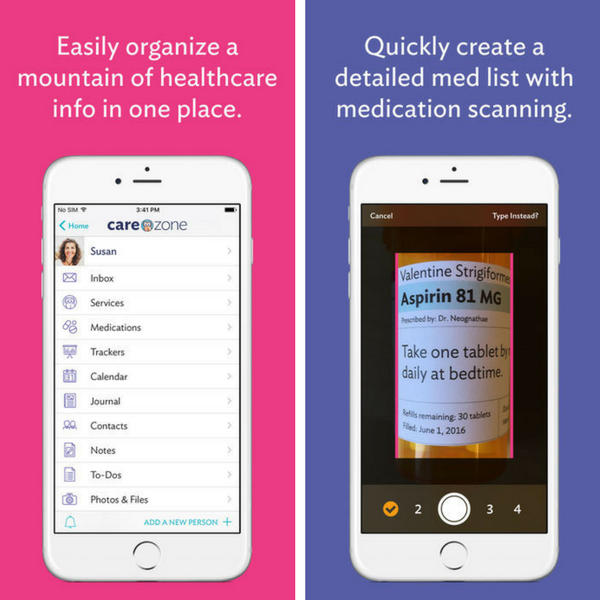 Medisafe helps you keep track of which medications you need to take and when. Each day is divided into four quadrants – morning, afternoon, evening, night – with visual representations of which pills you should be taking at which time. 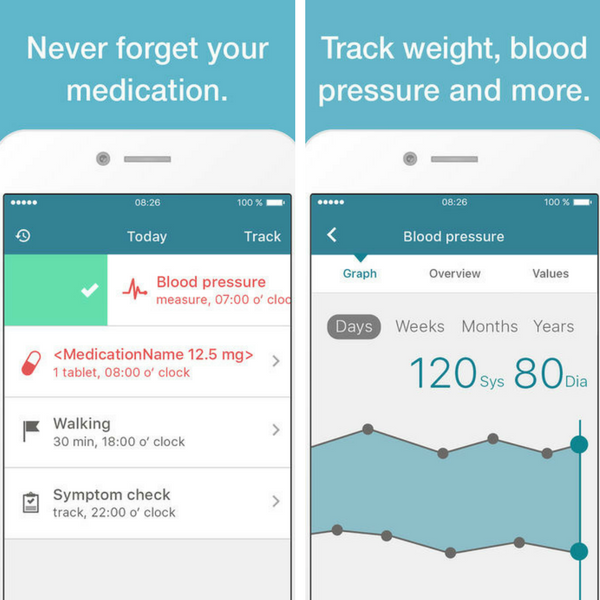 The app will send you reminders when it’s time to take your pills, and it also provides you with information about each medication. Physicians and pharmacists are also able to connect with patients and communicate through Medisafe. “It has the details of all my meds and alerts me to what I need to take and when. I always forget to take anything without the app reminders! Now I only have to worry about brain fog making me forget if I actually did take the meds it told me to before I pressed the ‘take all’ button,” Amie Addison wrote. “It reminds me to take my meds and business calendar reminds me of all my day to day stuff,” Marnie Dueck told us. Download Medisafe for free from Apple or Google Play. Daylio is a mobile diary that lets you easily track how you’re feeling and what you’re doing. Over time, the app can help you discover patterns in your moods, behavior and activities so you can make changes to your daily routine that will help you to feel your best. Download Daylio for free from Apple or Google Play. Flaredown was made just for people with chronic illness as a way to track symptoms, record treatments and reactions, track triggers and connect with others who have similar conditions. There are also places where you can easily note other important parts of your day, such as what you ate, what the weather was like, and any activities or events that took place. Download Flaredown for free from Apple or Google Play. Evernote is a note-taking app that helps you stay organized in your personal and/or professional life. You can add notes in a variety of forms, including text, sketches, photos, audio, video, PDF and web clippings, and have everything saved in one place. Download Evernote Basic for free from Apple or Google Play. 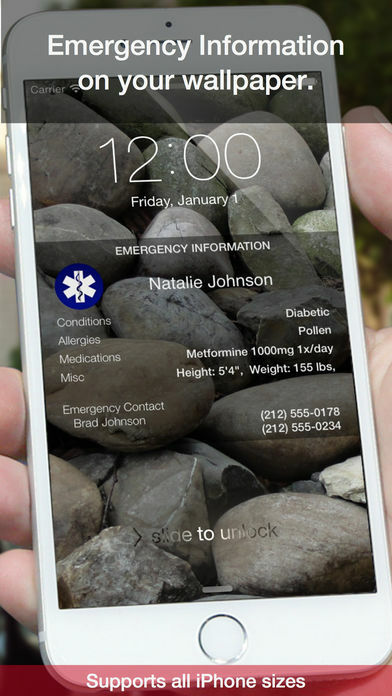 CareZone offers patients a simple way to keep track of all their medical information. Several of its features include a journal for documenting symptoms, to-do lists, contacts (doctors, pharmacies, insurance providers, etc. ), medication information (names, dosages, reminders for when it’s time to refill, etc.) and a calendar for keeping track of appointments and other important dates. Any information you input remains private and secure. Download CareZone for free from Apple or Google Play. 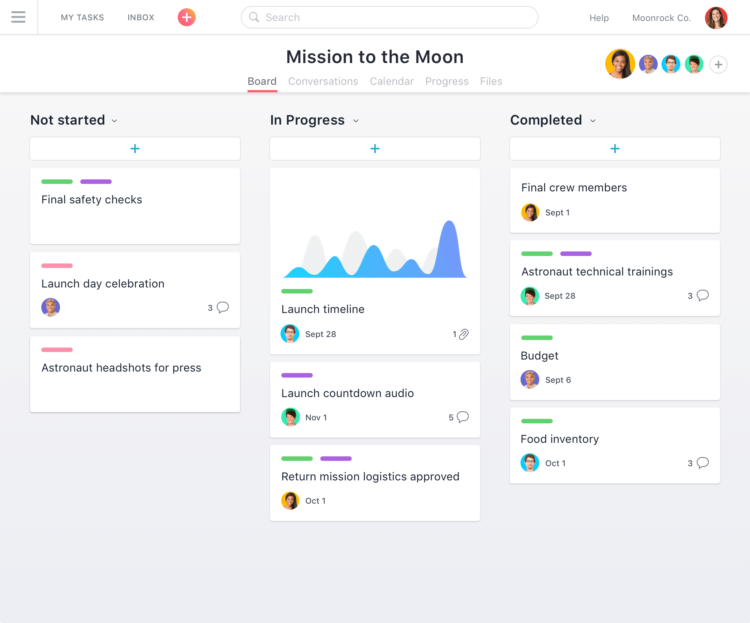 For those who work with a company or business, Asana is an app that can help you and your team stay organized, manage projects and track your progress. This app allows you to create project task lists and personal to-do lists, track when work is due with a calendar and converse with coworkers about various tasks or projects. “[I use] Asana – a project management app. I can list phone calls, emails, work, everything I need to do today or in the future. It’s free and has saved my business,” Jess N. Law wrote. Download Asana for free from Apple or Google Play. 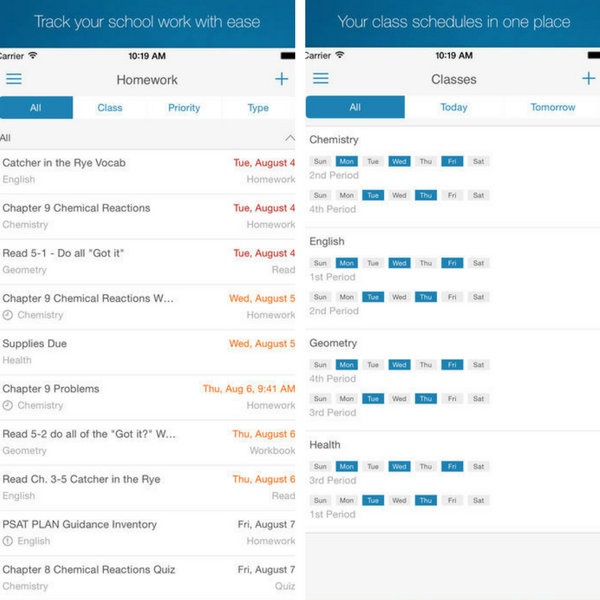 The myHomework app is a virtual planner for students. You can track when assignments, essays or projects are due, track your class schedule and receive due date or test reminders. Download myHomework Basic for free from Apple, Google Play, Microsoft or Amazon. Microsoft OneNote is a place you can jot down any important notes, information or thoughts that cross your mind – in whichever way works best for you. 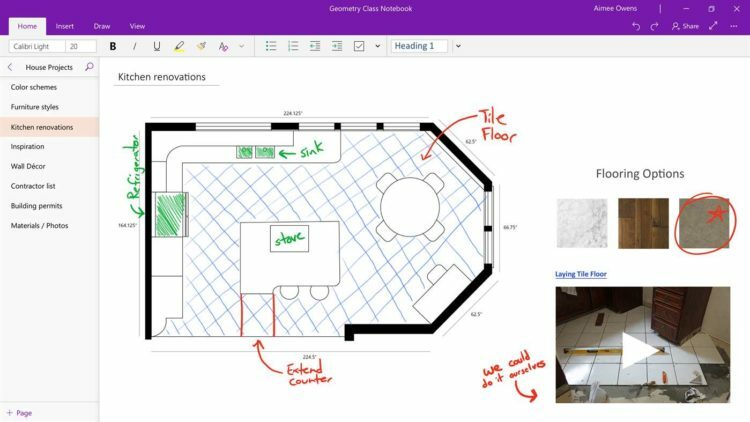 You can type, write, draw, make to-do lists or clip things from the web, and OneNote keeps everything organized and easy to find. “I have OneNote on my phone. It’s basically an electronic notebook and you can make as many [notes] as you want, but I find it helpful because if I want to remember something for later, I can just open it and type it out then go back to look at it later when I need the information. Also have it on my computer and tablet all connected so I always have access to it,” said Chelsea Smith. Download Microsoft OneNote from Microsoft, Apple or Google Play. MyTherapy gives you reminders when it’s time to take your medication, take measurements or do exercises, and it also serves as a journal where you can track your symptoms and overall health. Download MyTherapy for free from Apple or Google Play. Living with chronic illness and brain fog can be stressful, and while it’s important to keep track of your physical health, caring for your mental health is necessary, too. TaoMix 2 provides you with soundscapes you can mix and match to help you relax or meditate. Whether you’re soothed by the sounds of waves crashing on the beach or the quiet chatter of people in a café, this app can help take your mind off the stresses of chronic illness. Download TaoMix 2 for free from Apple or Google Play. Google Calendar can help you keep track of important dates or events. You can view the calendar by day, week or month, color code events and, if you use Gmail, import dates from there. You can also schedule reminders to give you a heads up about upcoming events. Download Google Calendar app for free from Apple or Google Play. This Android app lets you make color-coded notes and checklists to help you stay organized. You can also set reminders for each note to make sure you get each task done on time. Download ColorNote for free from Google Play or Amazon. This meditation app encourages you to stop what you’re doing and check in with how you’re feeling, practice some mindful breathing and think deeply to broaden your perspectives and increase your level of relaxation. “SBT is an amazing app that allows you to rate how you’re feeling physically and mentally and specify certain emotions. It then tabulates and suggests meditation/mindfulness exercises in order to attend to whatever issues you’re experiencing. Once finished with an exercise, you can again rate how you’re feeling. You can earn stickers as you accomplish certain exercises, and it keeps track of your emotional and physical check-ins. 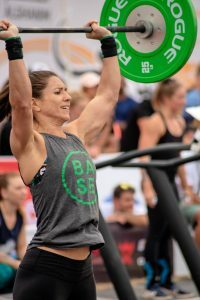 Pretty cool,” Meghan Leigh explained. Download Stop, Breathe & Think for free from Apple or Google Play or use on your web browser. If you have a medical condition and ever find yourself in an emergency situation, an ICE (In Case of Emergency) app may be of use. You can store all your personal and medical information here for either yourself or others to access in an emergency. Having this information handy can also be useful if you struggle with brain fog. Download ICE for free from Apple. Cozi is an organization app specifically designed for families. You can keep all of your family’s activities and appointments in one place, and create checklists (grocery lists, chore lists, to-do lists, etc.) to share with other family members. Download Cozi for free from Apple, Google Play or Microsoft. 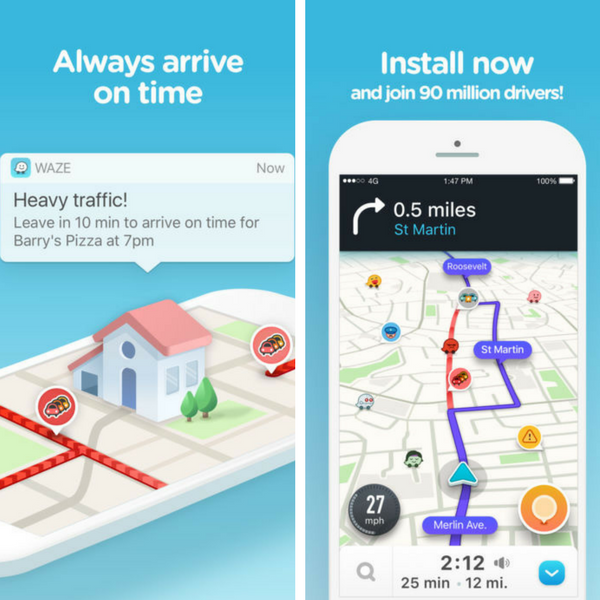 Waze is a navigation app that lets you know what traffic conditions are like in real time and which route you should take. Waze can also give you reminders when it’s time to leave based on both the time you need to arrive and current traffic. After you arrive at your destination, park your car and close Waze, it will automatically drop a pin to remind you later on exactly where you parked. Download Waze for free from Apple or Google Play. Fatigue. And the good news is there are strategies to help minimize it. 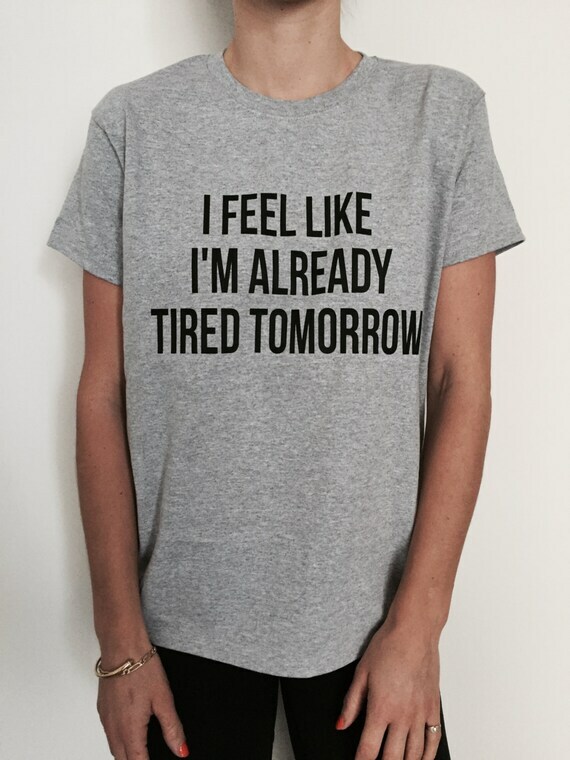 Ah, the tiredness. That’s another thing everyone talks about. It’s not a tough-week-at-the-office tiredness that you can rally through with a couple of drinks and the prospect of a weekend lie-in. It’s a leaden blanket of exhaustion that sweeps over you – utterly undeniable, non-negotiable and unshakeable. Those who haven’t had their brain banged around won’t understand the feeling – they’ll picture how they feel after a bad night’s sleep or a big work day. But this mental exhaustion is much more than that. It feels as though even the simple act of pushing a few sluggish thoughts through this damaged brain takes far too much energy, let alone attempting things requiring physical exertion. To make things worse, when I got tired my emotions were worse than ever – my family was already struggling with my temper, depression and poor social skills. What little control I had in these areas just flew out the window once fatigue set in. What Can You Do for Cognitive Fatigue? Below is a list of strategies you might find useful to work with. Decide what might work with the person you are supporting and their network. Just choose the key strategies that might suit. Keep the change manageable for everyone involved. Balance the daily routine with quiet times, rests, or restful activity; building in whatever rest time the person needs whether a short nap or a longer sleep time. Help family and friends to understand cognitive fatigue and know that it is as a result of the brain damage, it’s not laziness or deliberate. Plan ahead to allow opportunity for sleep and rest, program this into the daily plan before fatigue occurs. Work out what time of day is best for activity. We often talk about whether we are a morning, afternoon or evening person, this is important in planning to minimize fatigue. Allow extra time to complete work that requires extra concentration and effort. Plan ahead for demanding activities, or when going to special events. Allow for extra rest time and / or quieter routines before and after. Use aids, equipment, and technology to reduce effort wherever possible. For instance if the person has mobility aids encourage their use to minimize fatigue. If helpful see about shorter days for school or work; and with frequent breaks according to need. Encourage saying no to activities or demands that are not important, or that would overly fatigue them. If there are a number of activities or things to do on a day, work out priorities and tackle the important, or interesting tasks first. As much as possible have familiar routines and surroundings, which reduces to effort and need to concentrate. Take notice of what factors contribute to fatigue and work out how to manage these as much as possible. This might include the effect of medication, weather, or illness, people, places. Be aware that sensory overload can impact on fatigue; situations such as a busy shopping centre with lights and noise. Limit or avoid these situations. Maintain optimal health and fitness. Take care with exercise that it is does not itself cause fatigue. Develop ways to manage fatigue if and when it occurs. Think about at home and when out. You as a supporter can minimize fatigue by assisting where necessary, and where appropriate. Carrying out tasks, understanding what needs to be done, assisting to maintain agreed rest routines. When looking at ways to manage fatigue remember it is better for a person to try and manage cognitive fatigue before rather than after it happens. Plan to prevent rather than manage after fatigue occurs. Finally remember to always work with the person and their support team when developing any strategies. Each person will have different needs and different responses. This may change over time. Consistency is a key. Please share any successful (or unsuccessful ways) you might have seen cognitive fatigue managed. We systematically reviewed randomized controlled trials (RCTs) of complementary and alternative interventions for fatigue after traumatic brain injury (TBI). We searched multiple online sources including ClinicalTrials.gov, the Cochrane Library database, MEDLINE, CINAHL, Embase, the Web of Science, AMED, PsychINFO, Toxline, ProQuest Digital Dissertations, PEDro, PsycBite, and the World Health Organization (WHO) trial registry, in addition to hand searching of grey literature. The methodological quality of each included study was assessed using the Jadad scale, and the quality of evidence was evaluated using the Grading of Recommendations, Assessment, Development and Evaluation (GRADE) system. A descriptive review was performed. Ten RCTs of interventions for post-TBI fatigue (PTBIF) that included 10 types of complementary and alternative interventions were assessed in our study. There were four types of physical interventions including aquatic physical activity, fitness-center-based exercise, Tai Chi, and aerobic training. The three types of cognitive and behavioral interventions (CBIs) were cognitive behavioral therapy (CBT), mindfulness-based stress reduction (MBSR), and computerized working-memory training. The Flexyx Neurotherapy System (FNS) and cranial electrotherapy were the two types of biofeedback therapy, and finally, one type of light therapy was included. Although the four types of intervention included aquatic physical activity, MBSR, computerized working-memory training and blue-light therapy showed unequivocally effective results, the quality of evidence was low/very low according to the GRADE system. Fatigue is a common phenomenon following traumatic brain injury (TBI), with a reported prevalence ranging from 21% to 80% [Ouellet and Morin, 2006; Bushnik et al. 2007; Dijkers and Bushnik, 2008; Cantor et al. 2012; Ponsford et al. 2012], regardless of TBI severity [Ouellet and Morin, 2006; Ponsford et al. 2012]. Post-TBI fatigue (PTBIF) refers to fatigue that occurs secondary to TBI, which is generally viewed as a manifestation of ‘central fatigue’. Associated PTBIF symptoms include mental or physical exhaustion and inability to perform voluntary activities, and can be accompanied by cognitive dysfunction, sensory overstimulation, pain, and sleepiness [Cantor et al. 2013]. PTBIF appears to be persistent, affects most TBI patients daily, negatively impacts quality of life, and decreases life satisfaction [Olver et al. 1996; Cantor et al.2008, 2012; Bay and De-Leon, 2010]. Given the ubiquitous presence of PTBIF, treatment or management of fatigue is important to improve the patient’s quality of life after TBI. However, the effectiveness of currently available treatments is limited. BACKGROUND: Post-stroke fatigue (PSF) is a common complaint among stroke survivors and has significant impacts on recovery and quality of life. Limited tools that measure fatigue have been validated in stroke. AIM: The purpose of this study was to determine the psychometric properties of Fatigue Severity Scale (FSS) in patients with stroke. SETTING: Teaching hospital outpatient setting. POPULATION: Fifty healthy controls (mean age 61.1±7.4 years; 22 males) and 50 patients with stroke (mean age 63.6±10.3 years; 34 males). METHODS: FSS was administered twice approximately a week apart through face-to-face interview. In addition, we measured fatigue with Visual Analogue Scale – Fatigue (VAS-F) and Short-Form Health Survey 36 version 2 vitality scale. We used Cronbach alpha to determine internal consistency of FSS. Reliability and validity of FSS were determined by intraclass correlation coefficient (ICC) and Spearman correlation coefficient (r). RESULTS: FSS showed excellent internal consistency for both stroke and healthy groups (Cronbach’s alpha >0.90). FSS had excellent test-retest reliability for stroke patients and healthy controls (ICC=0.93 and ICC=0.90, respectively). The scale demonstrated good concurrent validity with VAS-Fatigue (all r>.60) and a moderate validity with the SF36-vitality scale. Furthermore, FSS was sensitive to distinguish fatigue in stroke from the healthy controls (P<0.01). CONCLUSIONS: FSS has excellent internal consistency, test-retest reliability and good concurrent validity with VAS-F for both groups. CLINICAL REHABILITATION IMPACT: This study provides evidence that FSS is a reliable and valid tool to measure post-stroke fatigue and is readily to be used in clinical settings. The US National Institutes of Health (NIH) in Bethesda, Maryland, bolstered the field last year by more than doubling spending for research into the condition, from around US$6 million in 2016 to $15 million in 2017. Included in that amount are funds for four ME/CFS research hubs in the United States that will between them receive $36 million over the next five years. The stakes are high because the field’s scientific reputation has been marred by controversial research. A 2009 report1 that a retrovirus called XMRV could underlie the disease was greeted with fanfare only to be retracted two years later. And in 2011 and 2013, a British team reported that exercise and cognitive behavioural therapy relieved the symptoms of ME/CFS for many people in a large clinical study called the PACE trial2,3. US and UK health authorities had made recommendations based on the findings, but, starting around 2015, scientists and patient advocates began publicly criticizing the trial for what they saw as flaws in its design. The organizers of the trial deny that there were serious problems with it, but health officials in both countries have nevertheless been revising their guidelines. In 1984 and 1985, an epidemic of persistent fatigue broke out in Lake Tahoe, Nevada. The US Centers for Disease Control and Prevention (CDC) tested people for Epstein–Barr virus, one cause of the fatigue-inducing illness called mononucleosis or glandular fever, but the results were inconclusive and the investigation was dropped. Around 1987, researchers coined the name chronic fatigue syndrome. But the media snidely called it ‘yuppie flu’. Doctors often told people their symptoms were caused by neuroses and depression. But a small fraction of clinicians listened closely to patients — who insisted that their debilitating exhaustion was not just in their minds. And whereas a little exercise might temporarily uplift someone with depression, individuals with ME/CFS would be bedridden for days after exertion. Some people also struggle with chronic impairment, some with intestinal disorders, and others completely lose the ability to walk. Anthony Komaroff, a physician-scientist at Harvard Medical School in Boston, Massachusetts, began conducting studies on the disease in the mid-1980s despite being discouraged by his colleagues. “I was emboldened by the fact that when I asked my colleagues why they were sceptical, they could not articulate a reason,” he says. In the 1990s, Leonard Jason, a psychology researcher at DePaul University in Chicago, Illinois, started questioning basic epidemiological information on ME/CFS. For one thing, the CDC described the syndrome as rare and predominantly affecting white women. But Jason reasoned that clinicians could be missing many cases. Those who were diagnosed were the ones most likely to return for a second, third or fourth medical opinion. And people who felt stigmatized, were confined to bed, were poor or had little social support might not go to such lengths to get a diagnosis. In many ways, people with ME/CFS remain invisible. Most have been dismissed by at least one physician. And society often ignores them, too. 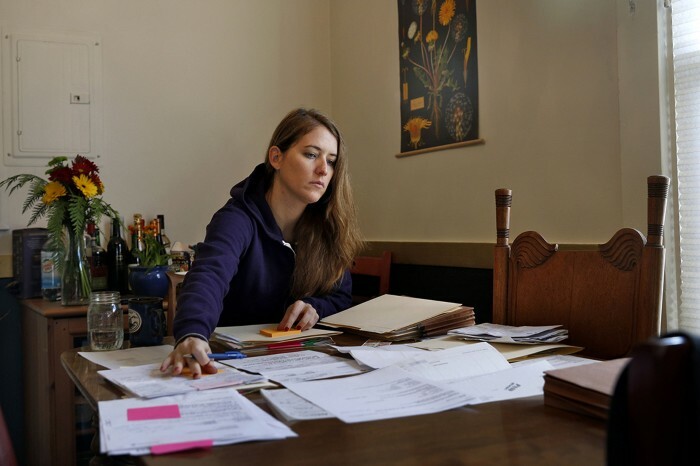 In the United States, financial pressures are common because health insurers might consider experimental treatments unnecessary, and employers might not feel that disability payments are justified. Even in countries where health care is a right, the situation has been dire. Many patient advocates say that UK government agencies have essentially treated ME/CFS as if it were a strictly psychological condition, a conclusion that they argue was bolstered by the PACE trial’s findings that exercise and cognitive behavioural therapy relieve symptoms. The National Health Service (NHS) recommended these interventions, even after many patients complained that exercise dramatically worsens their condition. Epidemiologists have suggested8 that the anguish of contending with the disorder and society’s general dismissal of it contribute to an up to sevenfold increase in the rate of suicide for people with ME/CFS. Montoya will never forget one such tragedy. 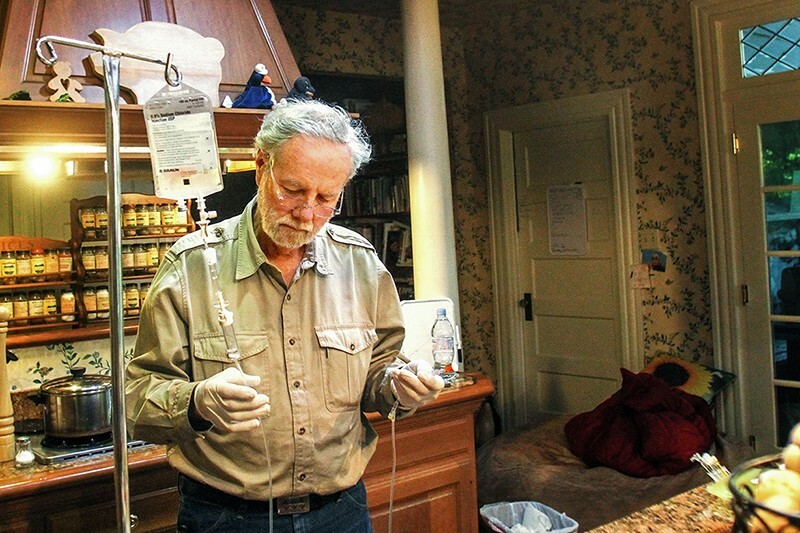 A decade ago, he opened an ME/CFS clinic for half a day each week at Stanford. 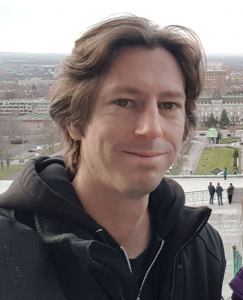 One afternoon, he received a call from a crying woman whose 45-year-old daughter had returned home to California after falling ill with ME/CFS. The daughter had read about Montoya’s clinic online and wanted an appointment, but Montoya was booked for a couple of years. In her suicide note, he says, the daughter asked that her brain be donated to him for research. “I feel so guilty, since those were the years with hundreds of patients on the waiting list,” he says. Today, Montoya’s clinic is open five days a week. And in his research, he’s exploring several avenues. The hormone study in which Allen is participating is looking for changes in how the endocrine system is regulated among people with ME/CFS, a factor that might explain why the disorder is more common in women than in men. But Montoya’s leading hypothesis is that ME/CFS begins with an infection that throws the immune system out of whack. Infections generally lead to inflammation when protein receptors on T cells, a kind of immune cell, recognize corresponding proteins carried by bacteria, parasites or viruses. The T cells multiply and catalyse an inflammatory attack that includes the replication of antibody-producing immune cells, called B cells. In the past few years, researchers have revealed hints of an unusual immune response in ME/CFS. Most recently, last June, Montoya and his colleagues revealed9 abnormalities in the levels of 17 immune-system proteins called cytokines in people with severe cases of the syndrome. What disrupts the inflammatory response, however, remains unknown. One possibility is that, as in some autoimmune disorders, T cells mistakenly become alarmed by one of the body’s own proteins, rather than by an invader, and B cells secrete self-reactive antibodies. An accidental finding has lent support to this idea. In 2008, Øystein Fluge, an oncologist at Haukeland University Hospital in Bergen, Norway, treated a lymphoma patient with rituximab, an antibody therapy that kills B cells. The patient told him that the drug resolved their ME/CFS. Fluge and his colleagues then conducted a placebo-controlled trial with 30 people who had the condition (and not cancer), and found that rituximab improved their symptoms10. As word spread, Fluge was flooded with hundreds of e-mails from people asking to take part in his trials, and doctors around the world fielded desperate requests for the experimental therapy. Yet any hopes that Fluge dared to have were dashed last October, as he assessed data from an as-yet unpublished 151-person clinical trial and found that rituximab proved no better than the placebo. Fluge says the finer details of the trial might yet reveal whether a small subset of participants benefited. Like many others, he suspects that ME/CFS might turn out to be several diseases, with different causes and underlying mechanisms. Therefore, what helps some people might not help others. This effect might not be discernible until researchers can tease out how patients differ from one another. Still, the trial’s overall failure suggests that autoimmunity is not the main cause of ME/CFS, says Derya Unutmaz, an immunologist at the Jackson Laboratory for Genomic Medicine in Farmington, Connecticut. Rather, he speculates that inflammation seen in ME/CFS might result from a problem on the regulatory side of a person’s immune system, which normally reins in the T-cell response to innocuous viruses, mould particles or other non-threatening stimuli. “Rituximab’s failure is very disappointing for patients, but the fact that such a trial was done is a very important thing in the field,” Unutmaz adds. “By ruling this out, we can focus on other directions.” This is the kind of scientific response that patient advocates have been fighting for since the 1990s. Newsletters dating back decades document how activists have struggled to be recognized by scientists. In one column from 1998, the co-founder of an ME/CFS organization reports on a conference on the ailment in Boston. She notes that someone from ACT UP, a group known for driving research on HIV, was in attendance, “and may show us how to get more attention for the disease”. Through the 2000s, advocates accused the NIH of favouring grant proposals focused on psychiatric and behavioural studies, as opposed to those exploring physiological pathways. A sea change occurred in 2015, however, with the IOM’s review5 of more than 9,000 scientific articles. “The primary message of this report,” concluded the IOM, “is that ME/CFS is a serious, chronic, complex and systemic disease.” Soon afterwards, NIH director Francis Collins said that the agency would support basic science to work out the mechanisms of the syndrome. In September last year, the NIH announced the winners of new grants in support of research hubs looking into ME/CFS. Some of the projects sound as if they duplicate each other, but that’s by design. Walter Koroshetz, head of the NIH’s National Institute of Neurological Disorders and Stroke in Bethesda and chair of the Trans-NIH ME/CFS Working Group, explains that the NIH sees strength in replication. “There has not been a coordinated effort to follow up on publications and to figure out which findings are most important, which can be reproduced and which fall away when you look at a different patient population,” he says. For this reason, one of the NIH grants goes towards a centre at Research Triangle Institute in North Carolina that will merge ME/CFS data. A $10-million, 5-year grant is also going to Unutmaz, who is studying the interplay between the immunological, metabolic and nervous systems of people with ME/CFS. As part of this, he will collaborate with microbiologists to assess the bacteria living in patients’ bodies, and to see how shifts in those populations alter metabolites, such as glucose, that may in turn affect inflammation. Unutmaz admits that his studies are at an early stage, and says the point is to generate data to form sharper hypotheses. “We don’t know what we don’t know in this disease,” he says. Researchers at Columbia University in New York City and Cornell University in Ithaca, New York, have won NIH grants to explore some of the same themes, and to delve into inflammation in the brain. Some CFS researchers argue that the NIH’s contribution remains too lean. “A real problem is that funders want to see papers coming out in a short time period, but this is a complex disease that requires long-term studies that are expensive to conduct,” says Eleanor Riley, an immunologist at the University of Edinburgh, UK. Beginning in 2013, Riley helped to launch and maintain an NIH-supported biobank of ME/CFS samples at the London School of Hygiene and Tropical Medicine. But the bank has been limited by funding constraints. Ronald Davis, a biochemist who directs Stanford’s Genome Technology Center, says that he too struggles to fund his lab’s work on ME/CFS. He points out that although HIV affects roughly the same number of people in the United States — about 1.2 million — it received 200 times as much funding from the NIH as ME/CFS did in 2017. In December, the Open Medicine Foundation in Agoura Hills, California, a research charity that Davis advises, announced its support for an ME/CFS collaborative centre led by him. In one project, the team intends to finish analysing the complete genomes of 20 people severely ill with ME/CFS, along with the genomes of their family members, to look for a genetic predisposition to the disease. Another project involves the development of what could be the first diagnostic test for ME/CFS. Davis knows the pain of disappointment personally. He started studying ME/CFS in 2008, when his son, Whitney Dafoe, became incapacitated by the disease. Dafoe volunteered to be studied at his father’s centre. A member of the team, Laurel Crosby, recalls exchanging e-mails with Dafoe, discussing the research. But as Dafoe’s condition got worse, he stopped replying in sentences, and began answering text messages with just a ‘Y’ or an ‘N’. Then those, too, stopped coming. Dafoe, now 34 years old, can no longer speak. He communicates with his parents through small motions, such as ripping holes in the shape of hearts in paper towels. A poster of Dafoe hangs in his father’s office. In it, he is standing on a beach in northern California with his arms raised towards the sky. Davis took the photo on one of the last days his son could walk. “Now he cannot talk, he can’t listen to music, he can’t write, he lays in bed all day, and there are thousands of patients like this, patients who are embarrassed to be told that nothing is wrong with them,” Davis says. So he is furiously testing the electrical device, as well as screening blood samples for proteins and genetic signatures that might reveal a biomarker for the disease. Not having clear criteria for a diagnosis has made clinical trials particularly challenging. In 2015, David Tuller, a journalist turned ME/CFS advocate, published a critique of the PACE studies11. Weeks later, six researchers signed an open letter to the editor of The Lancet, which published the initial PACE results, requesting a reanalysis of the data. Last March, scientists and advocates did the same in a letter to Psychological Medicine — the journal that published the 2013 PACE results — requesting a retraction. A leading criticism was that the investigators had changed how they measured recovery during the course of the trial, making that outcome simpler to achieve. The PACE investigators have denied this charge and others on their website, writing that changes were made before they analysed the data, and wouldn’t have affected the results. Patients and advocates disagree, and although the paper has not been retracted, the CDC subsequently abandoned the trial’s recommendations. In September last year, the NHS announced that it would also revise its recommendations. In a corresponding report12, a panel concluded that recent biological models based on measurable physiological abnormalities require greater consideration. Despite the setbacks and the long delays, many argue that science is operating as it should — being self-critical and open to revision. In five years’ time, researchers should be able to pinpoint specific aberrations in the immune, metabolic, endocrine or nervous systems of people with ME/CFS, and perhaps find genetic predispositions to the condition. These indicators might yield diagnostic tests — and, further down the road, treatments.